I got drunk and made a promise…. I found this recipe on One Happy Table. I love her site. She has some of the tastiest recipes and they’re all pretty darn easy, even for a dork like me. She makes things I actually want to eat that just happen to be vegan. 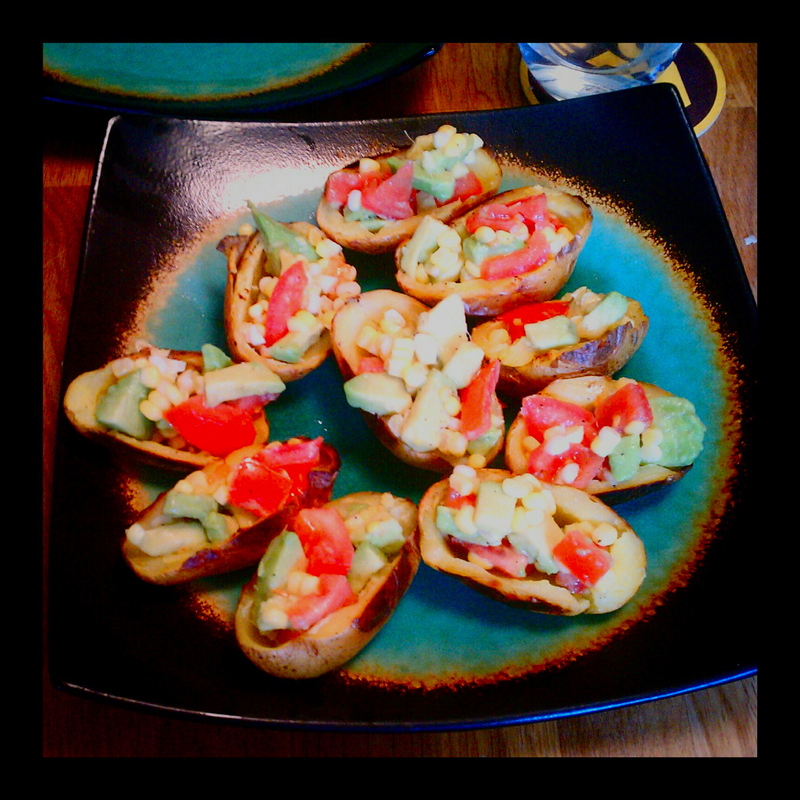 I made these last night for the boyfriend along with some cous cous and “chicken”. In a large mixing bowl, toss the potatoes with the oil, salt and pepper. 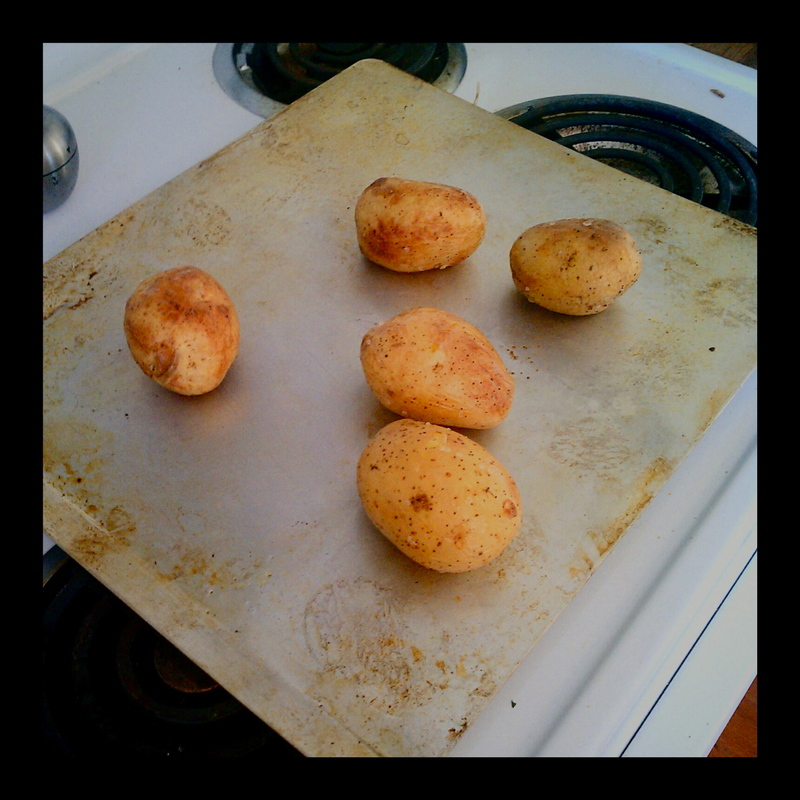 The put the potatoes on a baking sheet and bake for one hour or until they’re tender enough to pierce with a fork. When they potatoes are cool to the touch, cut them in half and scoop out the centers. 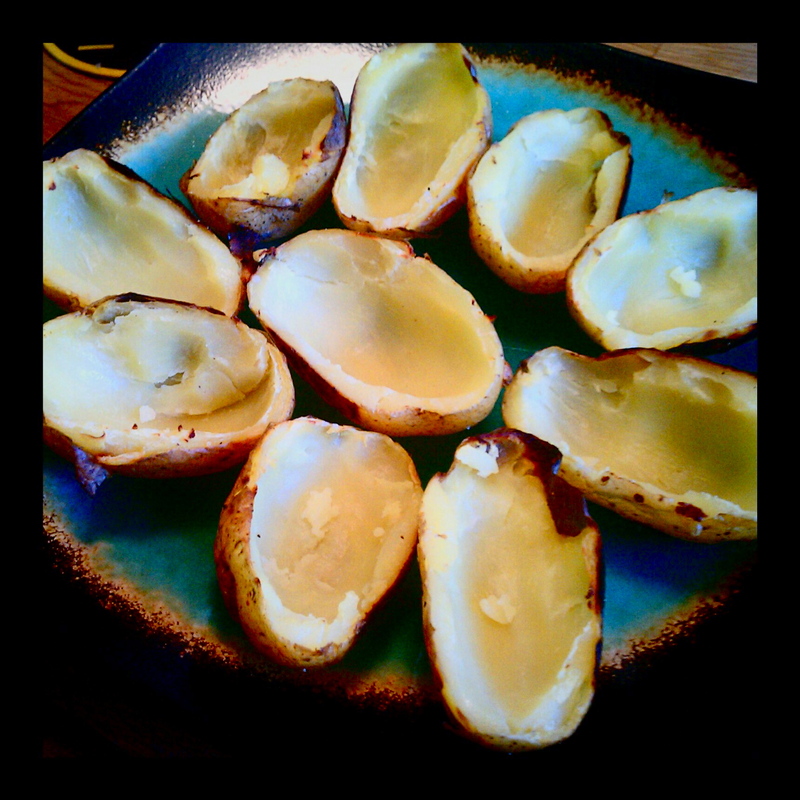 Leave about 1/8″ of potato in each skin and save the innards for something tasty the next night. Now turn the oven up to 400 degrees and stick those babies back in their for fifteen minutes or until the edges are crispy. 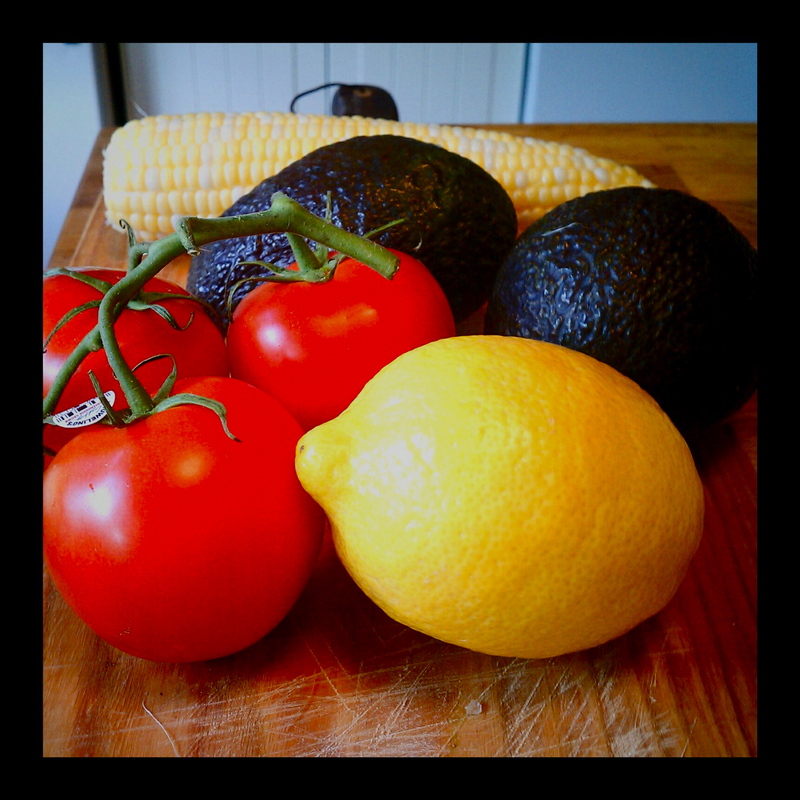 Make the avocado salsa by gently mixing the avocado, tomato, raw corn kernels from an ear of fresh corn, lemon juice, salt and pepper. Adjust the seasoning to taste. Spoon the salsa into each skin, plate and garnish with fresh basil or parsley and serve. These are sooooo tasty! The acidity of the lemon and tomatoe, the salt and the sweetness of the corn all combine to make a really refreshing and interesting flavor combination. They’re a perfect summer time snack and I fully plan to make them for guests soon. No, thank you! Your recipes are amazing! Yum! I hope to be one of the guests when you make them soon. They look delicious. Any time, my dear, any time.